If someone told you 20 years ago that you’d be able to shoot an unlimited number of photos without using a film, you probably wouldn’t believe it. How can it be that you don’t even need to use a film in your camera? What kind of a trick is that? Well, these days it’s all possible. The trick is called digital photography and you can take pictures in digital format and then even edit on your computer. It’s great and does not require much skills, film cameras were a much trickier sort. You had to learn to use them but with a digital camera it’s enough just to hit the button and the rest will be done automatically. Some people complain that nowadays you don’t have to be a photographer to be a photographer but nevertheless, the technical progress has brought us the time when you can take pictures effortlessly and it also costs a lot less money than it used to. Even though we can now take thousands of pictures, it’s not cool to lose even one of them because each moment is unique and if you capture it, you don’t want to let go of it. Sometimes we delete photos by accident and this is very unfortunate. We lose our pictures and have no obvious way to get them back. How do we deal with this when we desperately need to recover our photos? That’s right, we use image recovery software. 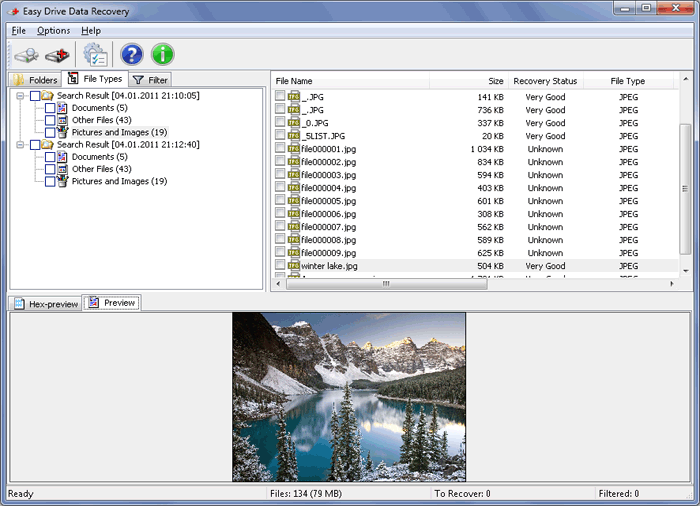 Not everyone knows about the possibility of using image recovery programs and if you’re one of those people who has no idea, this article is for you. We present a simple, yet powerful program that recovers data and works with all kinds of storage media. 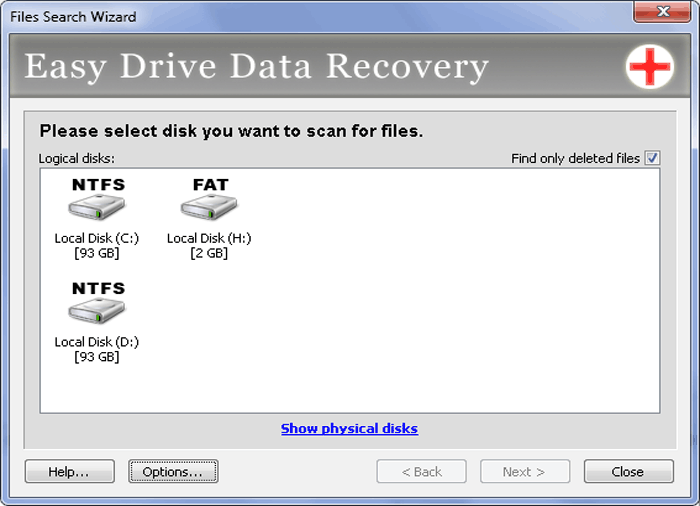 It’s Easy Drive Data Recovery. If you have a memory card of a certain manufacturer and you’re not sure whether it will work, you can rest assured that it probably will. The thing is that as long as the program recognizes the medium, it may be recovered. Even formatted disks or memory cards, those that cannot be restored seemingly, are the subject that the program can work with. This digital image recovery software works with deleted images, it restores them in the way they were originally. However, damaged data stands no chance, it’s impossible to recover. Since you cannot tell whether your files are damaged or simply deleted, you must try the test version first. It will help you determine the condition of your files and the probability of recovery before you fish out your wallet and get ready to pay. Easy Drive Data Recovery possesses a preview and it shows the files that you need recovered in full. If for some reason you cannot see your photos, this can only mean that they are unrecoverable. It’s inevitable that some may be lost but most of the photos are usually still in recoverable state. It’s very important to check though. Our image recovery software can be downloaded directly from our website and it surely won’t have any malware or viruses, the download is clean and free of charge.